At the heart of what we love and do is our passion for truly knowing the kids that attend the City and Country School each day / week. 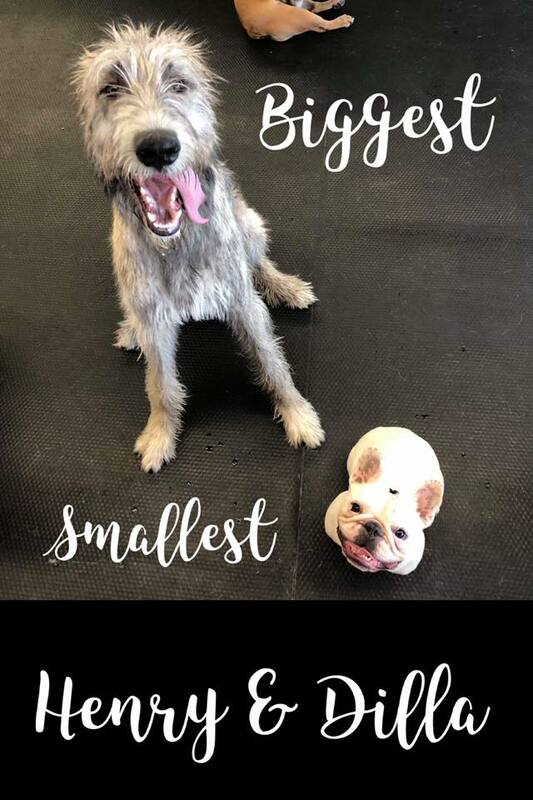 With such a wonderful and diverse range of breeds, ages and personalities wanting to join, our first step is always to find the best CLASS for your loved one. Our priority is marrying the perfect balance of age, energy and size. Once settled into the right class we can then get to know your loved one even more and start to understand their individual needs, unique drives and the character traits that let us allocate them into their HOUSE. Barkley Manor is a unique social club, where every dog, no matter what size, age or breed is welcome to apply. However, to ensure the safety and well being of all member dogs we require that all dogs meet the following criteria before their application can be considered. Baby Puppies - 0 - 12 weeks we recommend at least 2 weeks settling into home life before attending. 12 years + we have quiet area throughout each class however would advise shorter stays. VACCINATED - DHPP, Lepto Virus and Kennel Cough. 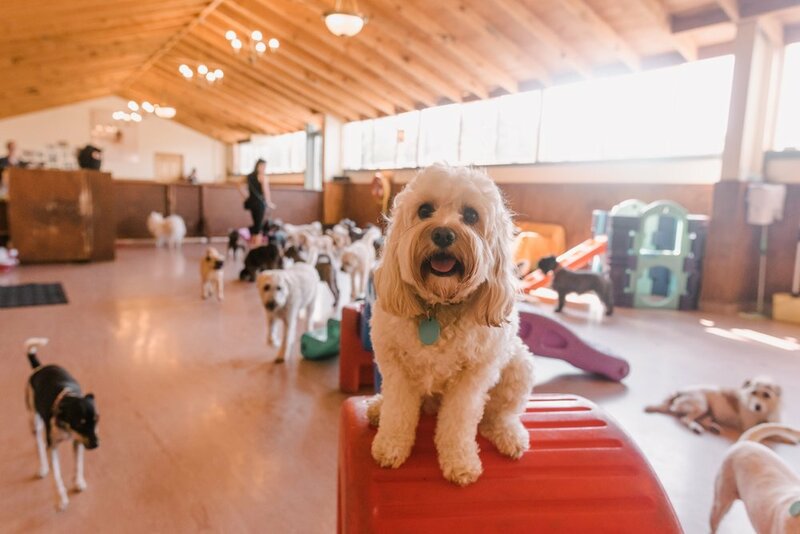 SOCIAL - daycare best suits dogs who are highly socialised, however, we run special small / one on one programs for dogs who need extra help and support. BEHAVIOUR - we ask that all dogs are non aggressive and have no resource guarding issues to join daycare, or overnight stays. Muzzle training is a positive tool we support in training however any dog needing / requiring this in their life is not suited to our environment. We do not support aversive tools either on or off site e.g. electric collar training. HEALTH - our facility and day to day procedures are designed to optimise health and safety, however, daycare may be too physically strenuous for dogs with existing medical conditions, or movement limitations and so we look at each dog on a case by case basis. A home in a home dedicated to our smaller “tots’ and our puppies. Tots has the breadth to cater for all ages and the depth to love all personalities. For longer legged Puppies and our mid size kids - with a commitment to manners, learning and brain challenging variety. Our biggest space with specialist floors and spaces for all energy and activity levels. Our passion for truly knowing the kids that attend each day / week is matched by our commitment to making things fun for the dogs... and parents too. Whilst all of our kids are truly unique, they also share common personality traits and drives, and these are represented by the houses that we have created and the fun of that classic school feel. Where Does your dog fit? Joining Barkley can be overwhelming for even the most confident of puppies. But with love, support and some good old fashioned cuddle time we give your loved one the time and space to be themselves. As they start to come out of their shell, find their ‘paws’ and really start enjoying their new school, we get to see their beautiful, unique qualities and idiosyncrasies come to the fore. We then know exactly which house best suits them. Celebrating magnificent brains, free spirits and discerning souls. Hedgehogs may be quieter, but their brains are certainly busier. With a solid loyal group of friends, they may share their specialness with a only a few but it’s with a divine intensity that melts our hearts. Celebrating Social butterflies, as they play with everyone and throw all their worries out of the window. Otters are too busy busy busy, always saying hello to everyone they meet and never happier than with a gaggle of ever increasing friends. Celebrating our sports and activity superstars, who run flat tack and always want to be first. Fantails are in an infinite race to catch, run and play - with skills that blow our mind they stop for a brief treat or cuddle, but are soon back to their winning ways. Follow your favourite #barkleymanor hastags for your personal Barkley feed and your furry loved one by your digital side. Join us on Instagram and start tagging the #Woodbury fun - a day full of variety, brain games, ball games, water games and some much needed snooze time.